It is certainly a case of quality over quantity at Don Colleran's next auction as all properties are in very desirable and much sought after locations within Galway city. No 14 Whitestrand Road, Salthill, is a spacious 1920s residence on a large site in Lower Salthill, only a five minute walk to the Promenade or city centre. Filled with many original features and charm, the bright, spacious, accommodation includes a entrance hall, sitting room with open fireplace, living room with open fireplace, large dining room with solid fuel stove, fitted kitchen, and utility with toilet. On the first floor there are four bedrooms, all with en suites. In the attic there are two additional bedrooms and a bathroom. If more living accommodation is required there are three additional independent living units, in the form of two chalets and a two bedroom converted garage, which could be rented out or incorporated back into the house. The large site offers lots of room to extend subject to planning. Advised minimum value €500,000. Open viewings Saturday 2pm to 2.30pm. Finding a bungalow in Galway is difficult, finding a bungalow in one of Galway's most sought after areas is rarer still. No 23 Upper Fairhill, Claddagh, is a desirable detached property in an unrivalled location in the Claddagh, less than a five minute walk from the Salthill Promenade or the city centre with every amenity nearby. 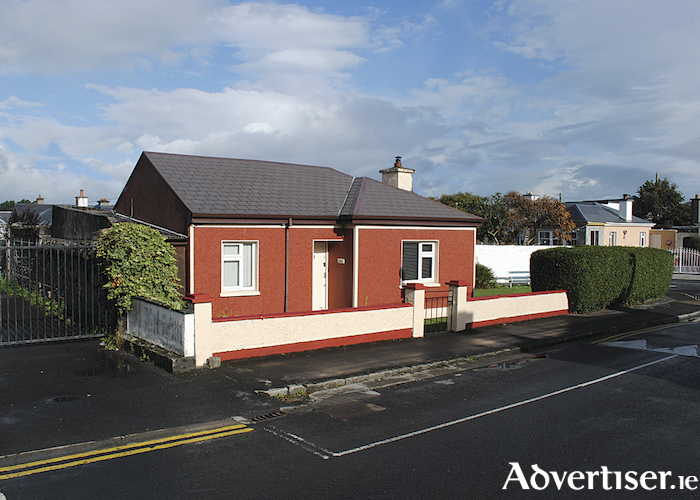 This two bedroom detached bungalow will be of equal interest to those looking for a home or investors due to its spacious accommodation and location so close to the city centre, NUIG, and UHG. Accommodation includes entrance hall, sitting room with solid fuel stove, kitchen/dining room, two bedrooms, and bathroom. Sitting on a large corner site, there is obvious potential for further development subject to planning. Advised minimum value €340,000. Open viewing Saturday 1pm to 1.30pm. Also included in Colleran's next auction is No 10B Laurel Park, Newcastle. This property will be of equal interest to investors, first time buyers, or parents looking to accommodate their children while attending college in Galway, as Laurel Park is less than a 10 minute stroll from NUIG. This apartment/maisonette is surprisingly spacious and accommodation includes entrance hall through a private front door, sitting room with open fireplace that complements the electric storage heaters, new fitted kitchen/dining room, three double bedrooms, and a tiled bathroom. Unusual for an apartment, it comes with its own back garden and block built shed. Located close to UHG and NUIG, it is an excellent investment . Advised minimum value €160,000. Open viewing Saturday 12 noon to 12.30pm. Castlelawn Heights has always been very popular with first time buyers and investors due to its location and affordability. No 129 Castlelawn Heights is a well maintained three bedroom semi, incorporating sitting room with fireplace, dining room, separate fitted kitchen, and downstairs toilet. The front lawn has been removed for ease of maintenance and off street parking. The back garden is lawned and has a boiler house. Due of its proximity to the city centre, Castlelawn Heights is exceptionally well serviced by all necessary amenities and is within walking distance of shopping centres, a cinema complex, and NUIG. Open viewing Saturday 11.30am to 12 noon. Advised minimum value €220,000.